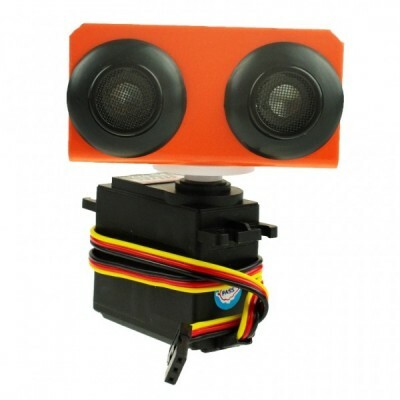 An Ultrasonic sensor with scan capabilities is a must have feature for most robot applications. This Ultrasonic scanner kit provides a cost effective way to have such a feature for your robot application. This kit is able to scan up to a 120 degree area with 10-400 cm detecting range. URM 3.2 Ultrasonic sensor (10-400cm) (SEN0001). URM Ultrasonic sensor mounting bracket (FIT0006). DF05BB Standard Servo (5kg) (SER0020). 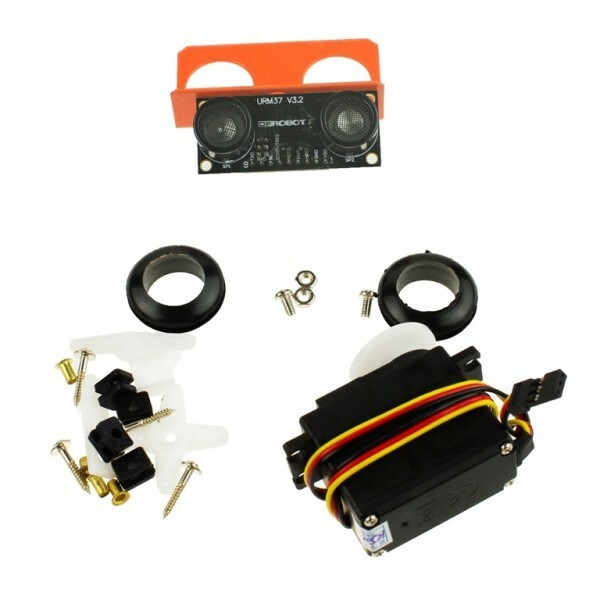 Operating voltage: 5V(Ultrasonic sensor) 4.8-6V(Servo). Scan Speed: 0.17 seconds / 60 degrees (4.8V); 0.4 sec / 60 degrees (6.0V).